Singapore Post Limited has announced it is working with logistics optimisation company LogiNext to introduce machine learning and Artificial Intelligence (AI) route-planning software in its new Last Mile Platform (LaMP), which will serve customers in South-East Asia. LaMP will have the capability to autonomously plot optimised courier delivery routes based on multiple factors such as parcel destinations, customer preferences as well as real-time ground data including traffic and weather conditions. LogiNext’s software is also able to analyse and proactively alert all stakeholders on courier movements. With this capability, customers will receive an alert half an hour before their parcel arrives. Sending such alerts will bring about greater convenience to customers, especially in the denser cities in the region, such as Bangkok and Jakarta. All of these factors will be dealt with from a single screen called the control tower, providing end-to-end visibility connecting multiple GPS tracking systems and application programming interfaces. “Couriers have much better-planned routes, so they can handle more parcels. 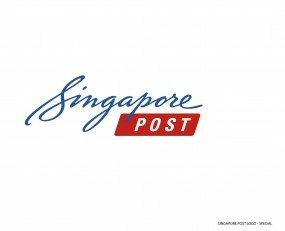 It’s a win-win for everyone, SingPost raises its already high delivery agility and the customer gets a much better experience with it,” said LogiNext Chief Executive Officer, Dhruvil Sanghvi.